2018 Office Page — Touloukian Touloukian Inc.
Touloukian Touloukian Inc. is an award-winning architecture and urban design firm specializing in complex and diverse building types. Our work includes commercial, residential, cultural, institutional and historic projects ranging from new construction to adaptive re-use. We provide comprehensive design services from feasibility and permitting through construction administration to a range of clients including municipal and private entities, non-profit institutions, developers and individuals. Our design approach encompasses a clear narrative about each client's mission as well as the sustainable qualities of the site and the history of its place. The diversity of our professional experience is a strength and testament to our knowledge and leadership within the profession. Our careful selection of material combinations and system technologies are the vehicle through which we explore the experiential and tangible qualities of a project. We navigate project constraints to promote values of simplicity that produce unique statements of creative selection, organization, and articulation. The visual and experiential result is a building bound to its place by a timeless architectural quality that unites our client’s identity with the character of the site. We think of ourselves as executors, in that we deliver tasks on time through our ability to lead, listen and learn. We support our team’s creativity to inspire new ways of looking at problems by being innovative within a cost model and by working quickly and thoughtfully through each assignment. We deliver clear, well-crafted graphics and written descriptions, assembled into concise documentation, born from collaborative discussions, visioning exercises, market driven concepts, urban design strategies and design reviews. 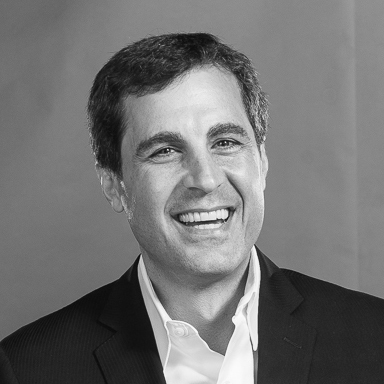 Theodore Touloukian is the President and founder of Touloukian Touloukian Inc. Ted has distinguished himself as a design leader who thinks between, across and beyond multiple disciplines. By encouraging the integration of creativity and critical thinking with project collaborators; Ted fosters an environment that develops innovative and integrated design solutions addressing our common challenges. We are an office that promotes a reciprocal model of design practice with design education. Design excellence is at the core of our work. This commitment has been recognized with over (50) international, national and local design awards across (13) different projects. Most recently, we were listed in Architect Magazine’s Architect 50 - top fifty firms in the country for both 2017 and 2016; and we were shortlisted for the 2017 Practice of the Year by World Architecture News (WAN). Below are a few of our latest select honors, a complete list can be downloaded here. 2017 BSA Honor Award for Design Excellence - "The Hobson"